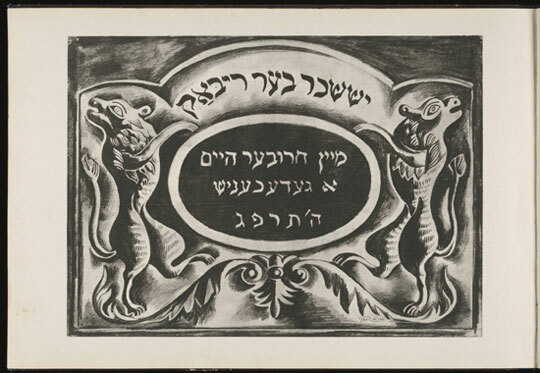 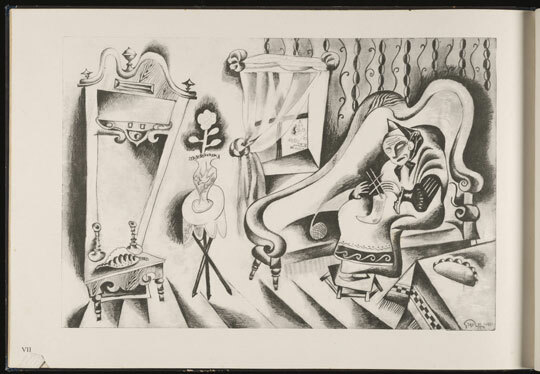 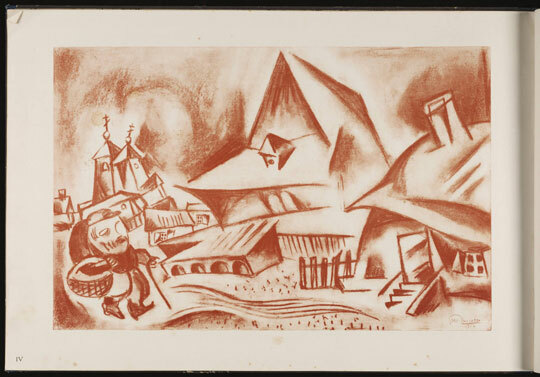 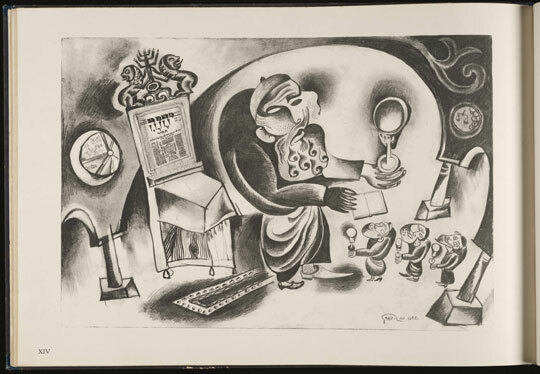 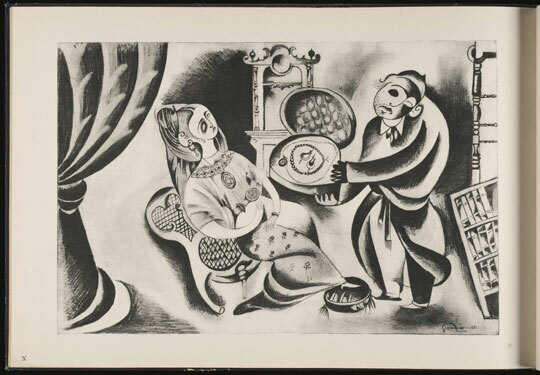 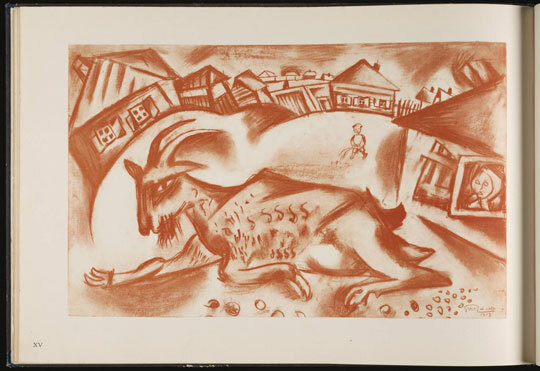 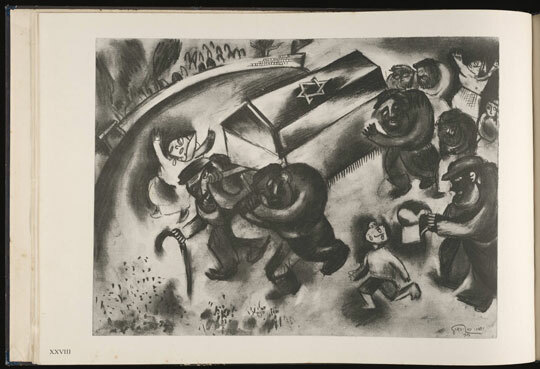 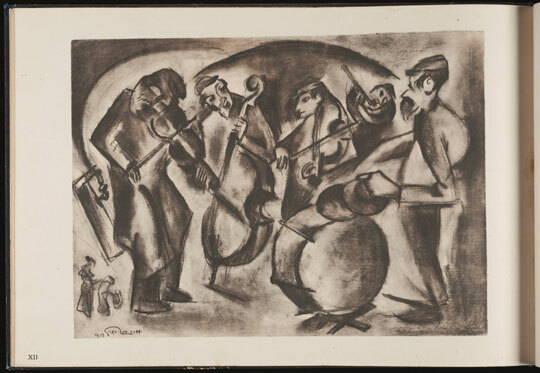 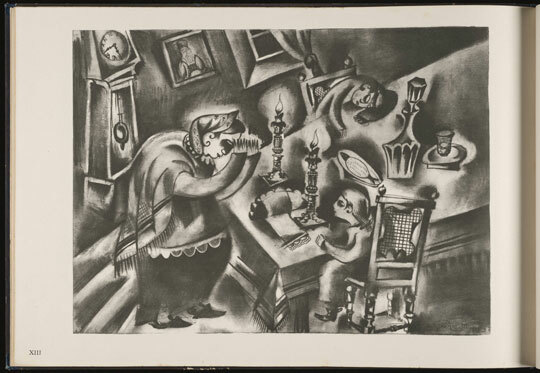 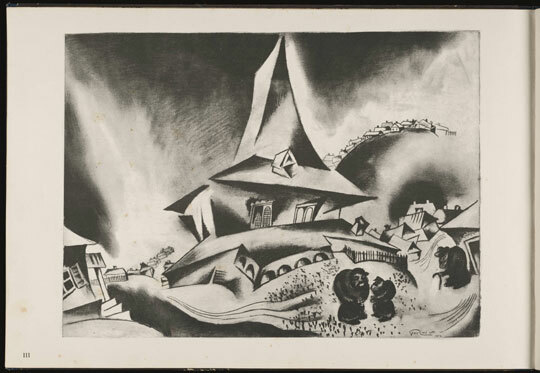 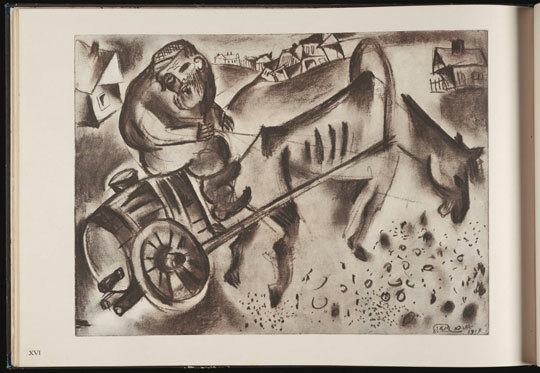 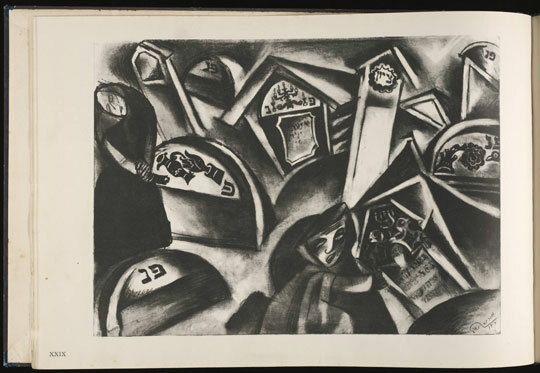 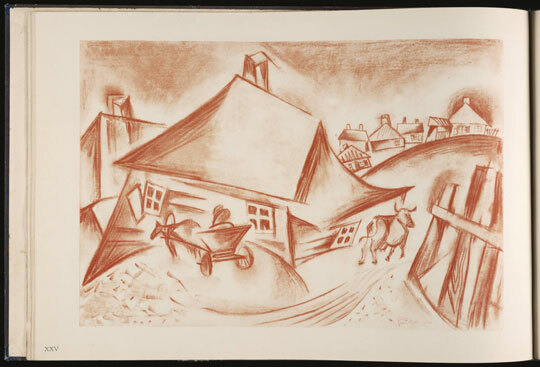 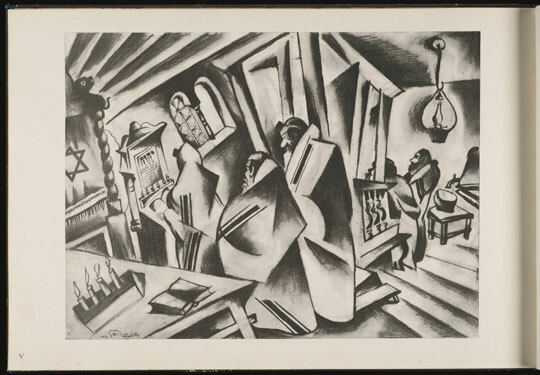 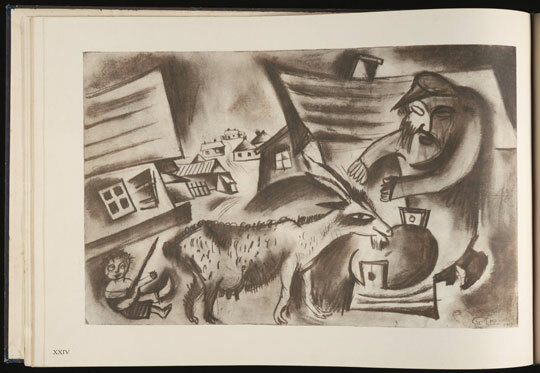 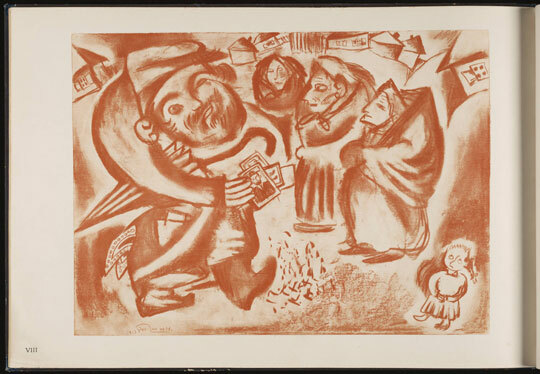 Shtetl, Mayn Khoyever heym; a gedenknish (Shtetl, My destroyed home; A Remembrance), Berlin, 1922. 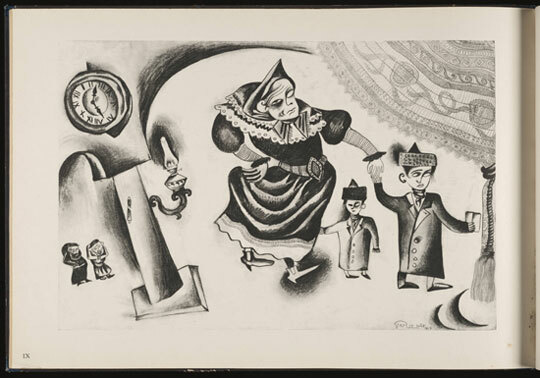 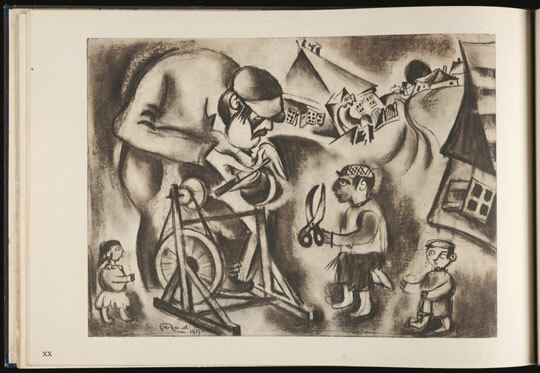 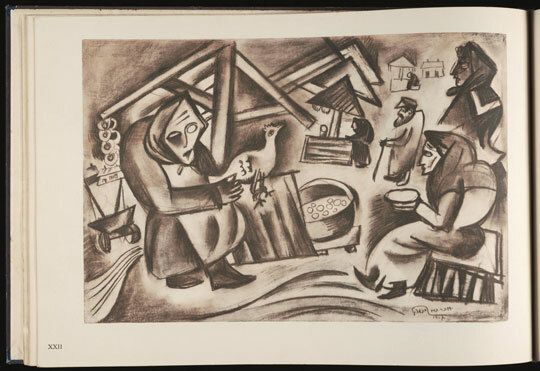 In this book, also in the Beinecke collection, the artist depicts scenes of Jewish life in his shtetl (village) in Ukraine before it was destroyed in the pogroms which followed the end of World War I. 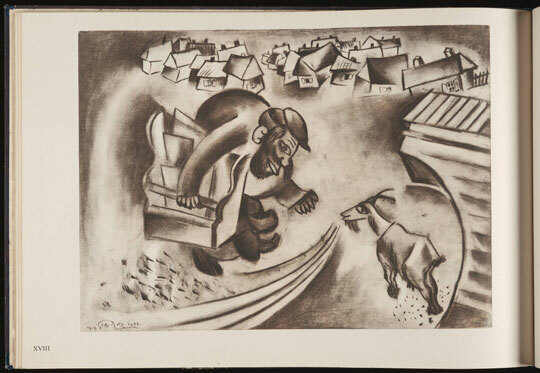 Indeed, Shtetl is an elegy to that world.